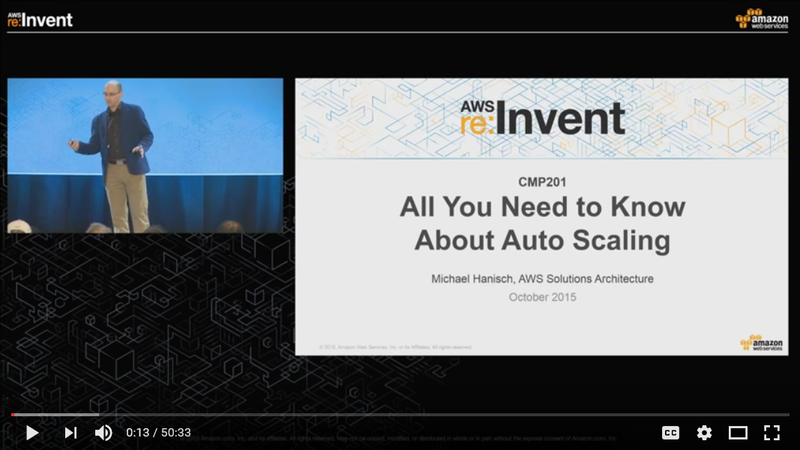 There are several ways to get started with Auto Scaling. You can set up Auto Scaling through the AWS Management Console, with the AWS Command Line Interfaces (CLI), or with AWS SDKs. To learn more, see below for tutorials, blogs and videos. Create an account and sign into the console. With Amazon EC2, you pay only for what you use. If you are a new AWS customer, you can get started with Amazon EC2 for free. For more information, see AWS Free Tier. Using the Auto Scaling wizard, create the launch configuration, specifying a name, AMI, instance type, and other details. Specify a name, size, and network for your Auto Scaling group. 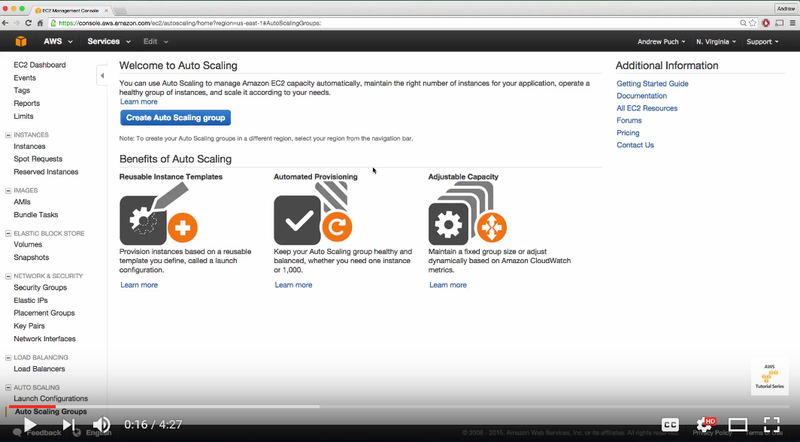 When you set up Auto Scaling with Elastic Load Balancing, you can automatically distribute incoming application traffic across Amazon EC2 instances within your Auto Scaling groups to build highly available, fault-tolerant applications. Associate your load balancer with your Auto Scaling group to distribute traffic for your application across a fleet of EC2 instances that can scale with demand. You must first create a load balancer. Configure scaling policies for your Auto Scaling group. You can access the features of Amazon Auto Scaling using the AWS CLI, which provides commands for a broad set of AWS products, including Amazon EC2 and Amazon CloudWatch. For more information about the commands for Auto Scaling, see the Auto Scaling section of the AWS Command Line Interface Reference. Get started with Auto Scaling by using APIs tailored to your programming language or platform, or AWS Mobile SDK to help you build high-quality mobile apps quickly and easily. See Tools for Amazon Web Services for more information. Learn about how to automate launches with Launch Configurations, configure the software environment before your instance accepts traffic using Lifecycle hooks, and how to create a resilient multi-AZ fleet to run your application with minimal effort. 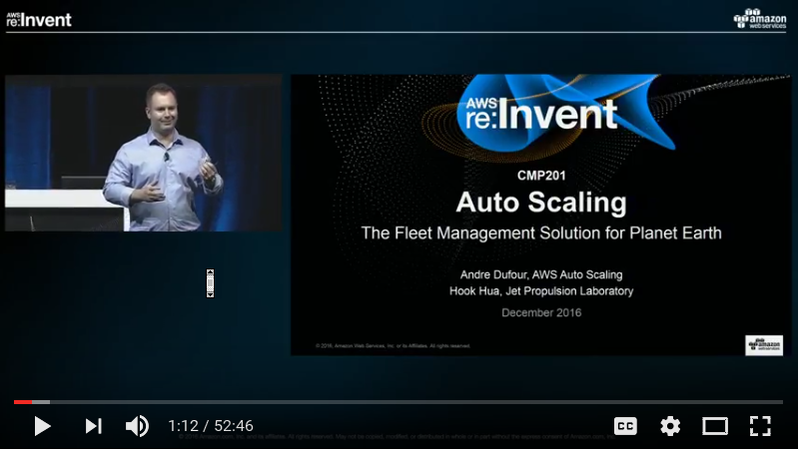 AWS and NASA Jet Propulsion Laboratory (JPL) discuss how Auto Scaling offers an advantage to everyone – whether it’s basic fleet management to keep instances healthy as an EC2 best practice, or dynamic scaling to manage “extremes”. 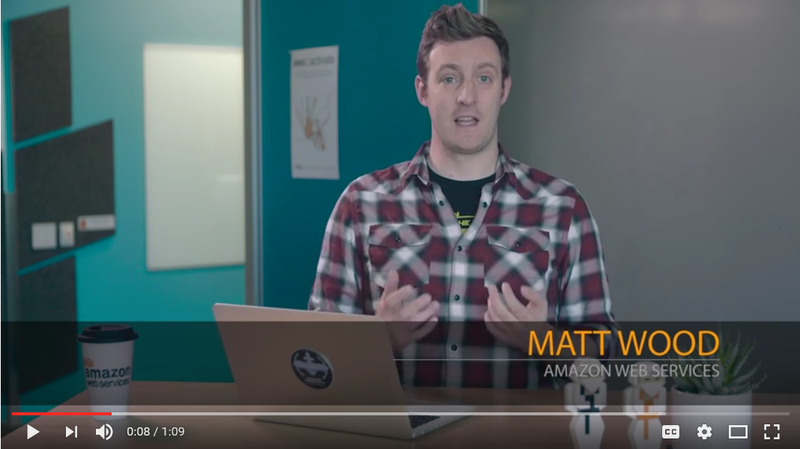 Dr. Matt Wood, Director Product Marketing, AWS discusses how Auto Scaling emits an event using Amazon CloudWatch Events when an Amazon Elastic Compute Cloud (EC2) instance is ready to execute a launch or termination lifecycle hook. This video introduces the basics of how to use Auto Scaling before moving on to more advanced topics such as mixing Spot and On-Demand instances to optimize cost or strategies for blue/green deployments. 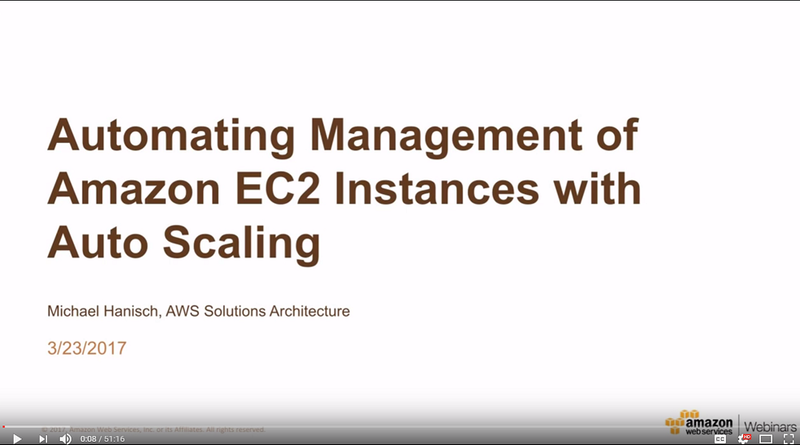 This video shows how to set-up up Auto Scaling EC2 instances and put them into an Elastic Load Balancer (ELB). You will also learn how to set-up a custom scaling policy that is triggered from a CloudWatch alert.